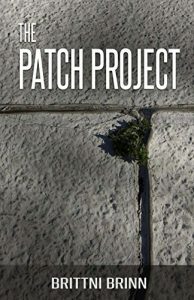 The Faculty of Arts, along with the Department of Literature and Language, congratulates Brittni Brinn (nee Brittni Carey) from the class of 2012 on the publication of her novella The Patch Project. It is available on Amazon for purchase in electronic format here: https://www.amazon.com/Patch-Project-Brittni-Brinn-ebook/dp/B079TFSHC3. The website description has this to say of Brittni’s work: “An introspective story about survival, identity, and memory, The Patch Project explores the need for connection and purpose in a sterile post-apocalyptic world.” Brittni’s former English professors remember her as a dedicated and very creative student. We hope that The Patch Project will be but the first of many more books to come.